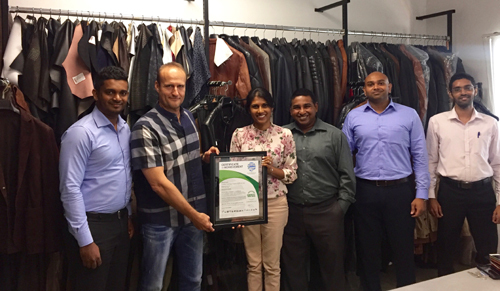 High end leather garment manufacturer Lanka Leather Fashion (LLF) renewed its CarbonNeutral® certification for the third year running. Suppliers to prominent high street fashion brands such as Hugo Boss, Gerry Weber, Michael Kors and Taleco, LLF is also a staunch advocate of social responsibility both in the workspace and with local small businesses to promote sustainability across the leather industry. Its certification renewal included an in-depth assessment of LLF’s organisational greenhouse gas (GHG) emissions that was conducted by Carbon Consulting Company (CCC), and an independent verification of results by the country’s foremost ISO 14065 accredited validation, verification and certification services provider the Sustainable Future Group (SFG).